/ The Final Front Ear: Should You Choose In-Ear vs. Over-Ear Headphones? It’s a debate that continues to rage: should you go for in-ear vs. over-ear headphones? We take a closer look to help you make a cl-ear decision. There’s nothing better than listening to cool headphones. The sound quality has never been better, and current technology has created features like wireless Bluetooth that makes listening to your favorite playlist an effortless pleasure. If you are trying to decide between in-ear vs. over-ear headphones, there are some things you should know. Each kind has certain advantages and disadvantages, but which is right for you? Let’s take a look at each kind and see which one might be best for your particular needs. Let’s start by looking at the sound quality difference between earbuds vs headphones. 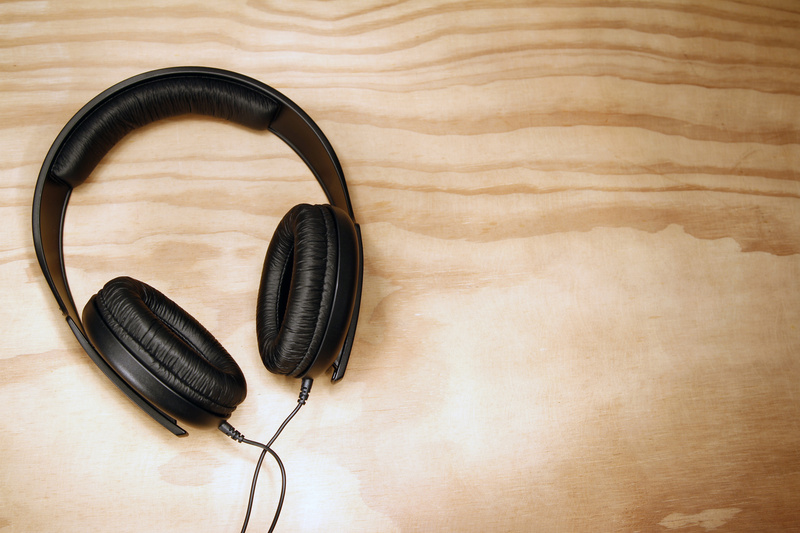 Over-ear headphones tend to have excellent sound quality, depending on the overall quality of the headphones. Brand and price have a huge impact on sound quality. If you want the best sound possible, be prepared to pay for it. The sound potential is all a matter of design. High-end headphones will be more sophisticated than cheaper ones, typically offering the kind of sophisticated features coveted by true audiophiles. Features such as hi-fidelity sound and a full-range frequency response. Believe it or not, the sound quality of in-ear models can be every bit as good as over-ear headphones, again depending on design and manufacturer. But keep in mind that in-ear headphones are typically less open or airy. They also produce minimal bass, depending on how they are inserted, and you’re unlikely to experience the same frequency response as you would with similar-quality over-ear models. With this type of headphone, the sound is injected directly into the ear, thus losing any psychoacoustic environmental effects created by the space around your ears. This can result in some of the most accurate sounds you’re likely to hear. Because in-ear headphones don’t have to worry about exterior environmental effects, they can be tailored for precision sound reproduction. Next, let’s look at the comfort difference between the two types. Again, depending on the manufacturer and design, the over-ear model you choose can either be extremely comfortable or uncomfortable. The comfort level of this style of headphone largely has to do with the quality of the padding over the ears and the headband that distributes weight over the top of your head. Another comfort factor is the quality of the outer material used. You’ll want to choose earcups that won’t make you sweat easily, which tends to be the case with less-expensive headphones. This is typically due to synthetic materials, which are also less pliable. Many low-end models feature plastic earcups. We would suggest looking for leather earcups, but be ready to pay a premium for comfort and quality. One of the primary reasons people tend to not choose in-ear headphones is the comfort. This is typically due to sensitive ears. This style of headphone is worn inside the ear canal and cause a certain amount of discomfort. This is especially true with cheaper models. There are solutions to help improve comfort, however. One such solution is to get a custom-formed ear mold tailored specifically to the shape of your ear. A less expensive option is foam ear tips in place of the more common silicone version. We recommend trying a variety of styles to see which is more comfortable before making your final decision. Now let’s discuss the difference in portability. When it comes to portability, over-ear headphones are…not very portable. Plain and simple. First of all, they’re bulky. This obviously makes it more challenging to stuff them inside your carry-on bag or backpack, and you can’t exactly stuff them into a pocket of your jeans or your jack. It’s not like they are unreasonably cumbersome. After all, many people simply wear them around their neck when not in use. So if you prefer the comfort and sound quality of over-ear headphones, by all means, don’t let lack of portability scare you away. Take a look at some of the best headphones under 30 dollars. These are by far the most portable style of headphones on the market. No matter where you are, stuffing them into a pocket or a bag is a breeze. Wireless or not, simply zip them into their case or stow in your backpack. In-ear headphones are especially ideal for frequent travelers when space is limited and you simply want less hardware to keep track of. The final characteristic to consider is noise rejection. Devices with noise cancellation are designed to reject outside noise by sampling the environment with external microphones and then inverting the waveform to remove the noise, creating a more dynamic range within your music. Not all over-ear headphones offer noise rejection, and the quality varies from model to model. If the price isn’t an issue, noise-canceling headphones are definitely the way to go. Without good noise rejection, you’ll have to compete with outside sounds to listen to your tunes. In-ear headphones are able to reject outside sound without the need of noise cancellation devices or complex algorithms. They are able to eliminate much of the outside noise simply by being properly inserted into the ear canal. Every model and style is different, but if noise rejection is a major priority to you, in-ear might be the way to go unless you’re willing to pay big bucks. There’s a lot consider when choosing in-ear vs. over-ear headphones. Depending on your tastes and budget, there are plenty of brands and styles to select from. You certainly don’t have to go broke buying good headphones, especially if you’re a smart shopper and know what to look for. This article should help in making the selection process a little easier. So decide what’s best for your needs and crank up the music! Click here to see the top 3 streaming TV apps of 2018.